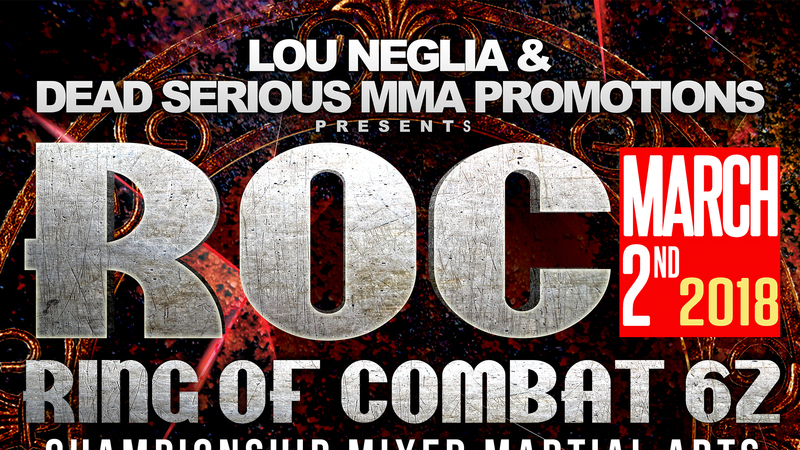 ROC 62 | Lou Neglia's Ring of Combat | Next Generation of Mixed Martial Arts! Starting off 2018 with a bang when a full card comes to you on March 2nd at the Tropicana Showroom in Atlantic City, New Jersey! Lou Neglia and Dead Serious MMA bring you a stacked fight card featuring five key title fights. Title bouts and interviews coming soon! Tickets can be purchased at the Tropicana Box Office, any TicketMaster outlet or online.